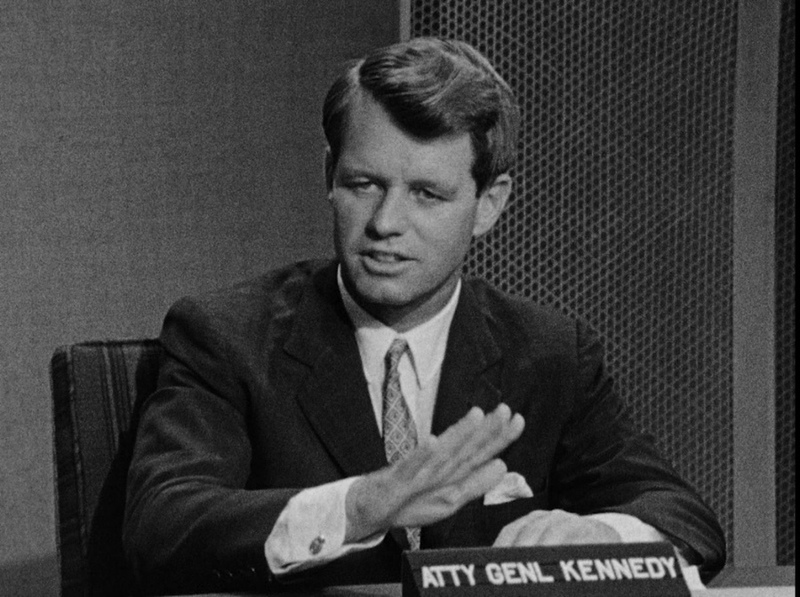 Bobby Kennedy has influenced me more than any other of my mentors. During the 60s, he gave my generation a role model. I looked up to him while I was in college and graduate school as a teacher. That respect for him has continued and increased during my life. However, a single statement that Bobby made, which was a paraphrase from something George Bernard Shaw wrote, has been a part of me for decades: “Some men see things as they are and say, why; I dream things that never were and say, why not.” In one sentence, he gave me a light, a beacon, on my journey through school and into my adult life. I have lived my entire adult life with the question to everything, why not? Granted, dreaming an impossible dream, to quote Don Quixote, doesn’t assure my success. My failures are legion. While I have failed many times more than succeeding in obtaining my dreams, I would not have enjoyed living my life without my dreams. 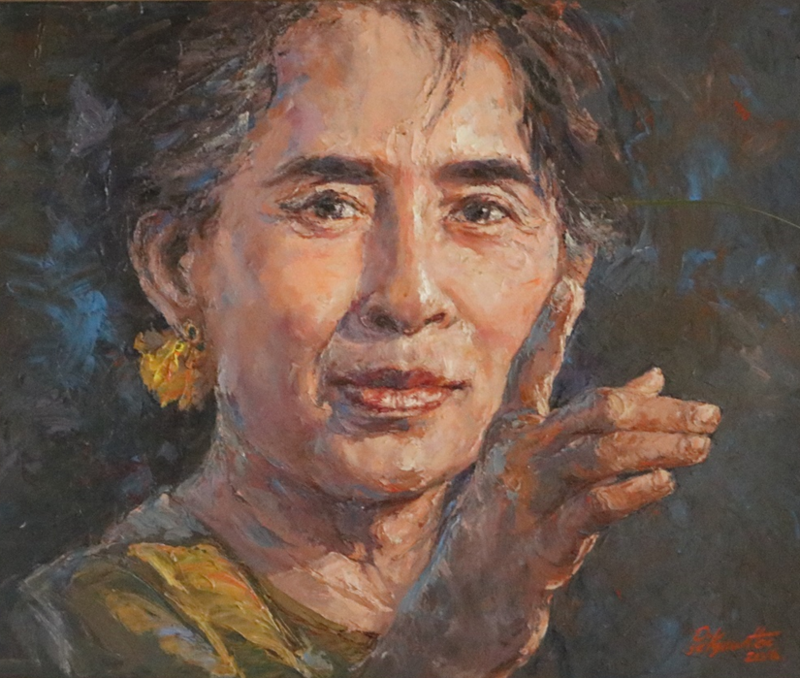 Anyone who knows me is fully aware that I have wanted to interview the Lady, Aung San Suu Kyi for a couple of decades. I put off traveling to Burma, which is now called Myanmar, because she said that going to Burma wasn’t what she thought would help her cause or her people. When she decided to encourage foreigners, I began to write to anyone who might pass on my request to interview her. It was a time of intense dreaming. Bobby Kennedy would have been proud of me. Nonetheless, all my dreaming which involved two trips to Myanmar (Burma) was to no avail. My dreaming didn’t materialize into an interview. Granted, I knew that my dream was a longshot. I approached my dream knowing full well that merely dreaming wouldn’t achieve my desire. It would take effort and action on my part beyond merely dreaming. I get that reality and universal truth. Bobby showed me and millions of others that dreaming will not always result in realization. I’m writing this essay while I am in Ngapali, Myanmar. After spending three weeks in Myanmar, I have a couple of days to get ready to return to the States. 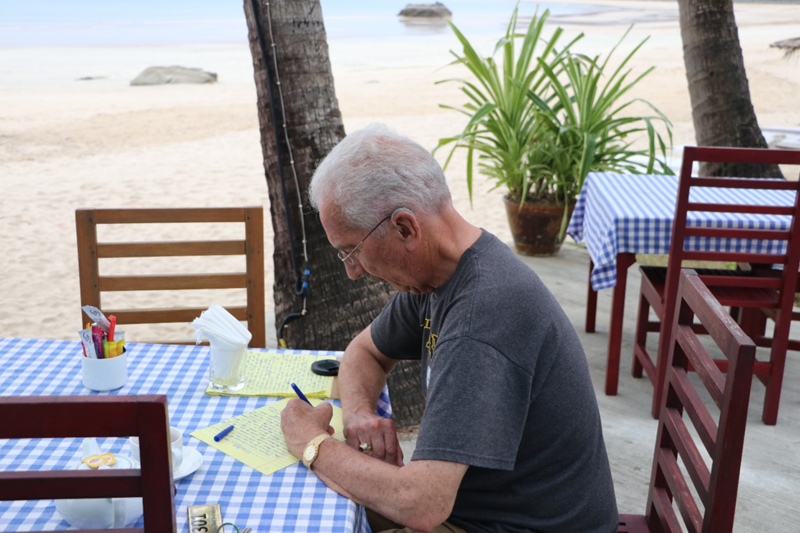 It gives me time to write while the waves break 50-yards from the restaurant of my hotel. Interestingly, it is also a time to think about my dream of interviewing the Lady. With the only distraction being the sound of the surf, it is an excellent time to consider reevaluating that dream. I believe that my dream is valid, and I will continue to dream the seemingly impossible dream of sitting down with a Nobel laureate to discuss ideas with her. The issue of dreaming is, in the final analysis, my modus operandi for me and my life. I am fully aware that all my dreams won’t come true. I realize most of my dreams haven’t come to fruition. Despite that universal truth, which applies to all of us, the value of dreaming is that it is a process of determining what one sees as important in his or her life. Dream the impossible dreams. Many of those dreams won’t be realized. However, some dreams will. Therefore, I will continue to dream. Without dreaming, you will live a very shallow life. Essentially, it boils down to what Teddy Roosevelt said in the Man in the Arena. The following is one paragraph of the speech Teddy Roosevelt gave at the Sorbonne in Paris on April 23, 1910. The following is what historians call the Man in the Arena paragraph. Having danced with death twice, I know that my clock is ticking. Someday, in the future, will be my last day. What haunts me is how will I be remembered. Ben Franklin wrote “Many people die at twenty-five and aren't buried until they are seventy-five.” That isn’t how I wish to be remembered.